We’re NOW NextHome Realty Connection! “Watching the market evolve and my team’s production grow, I knew we needed to reinvent our firm’s strategy,” said Founder Steve Roesch. “We wanted to create a firm that functioned as a ‘next-level’ boutique to better resonate with our clientele.” Catching wind of a young, ambitious franchise that had already opened nearly 100 locations in 33 states, Steve and his wife, Andrea, eagerly decided to learn more. Although there are many real estate franchises, NextHome set out to offer only the best, cutting-edge model. With its fresh look, and ample tools at a cost effective price, they knew right away that it would allow them to achieve their vision….and they are confident they made the right choice! Partnering with NextHome, has given the Roesch’s the freedom to focus on building a boutique that fosters local relationships, knowing that they have premium technologies and high-level marketing at their fingertips. Starting his real estate career in 1996, Steve began working on a team at the local Portland Re/Max office, where he spent five years building his skills and understanding the industry. 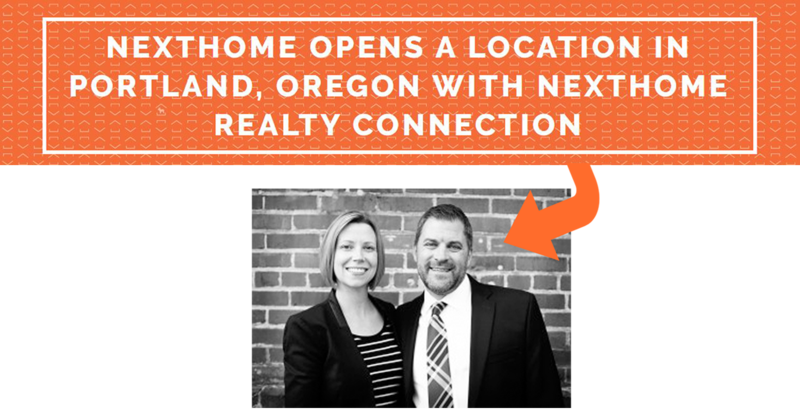 In 2001, the team moved to a local independent brokerage, Oregon Realty, and saw their production skyrocket. There, Steve focused on working with investors and built strong relationships with major investment companies. In late 2006, Steve was offered the chance to work for one of his largest investor clients, North Point Real Estate Investment Services. Steve was tasked with helping individual investors find and acquire property, and found himself frequently traveling to California (where the company was based) and other parts of the country. He saw this as an opportunity to grow outside of Oregon and learn national trends, without losing touch of the Portland market. He also saw it as an opportunity to learn a new corporate culture and bring these outside concepts back to enhance his local business. As the market regained its strength in 2009, Steve joined Keller Williams Realty, where he served as the personal coach and mentor to over 40 agents in Portland’s highest producing brokerage. Throughout his time as a coach, he simultaneously created a new team named PDX Home Group under the Keller Williams brand. Building a team under that brand allowed him to gain better insight on the corporate management lifestyle, which eventually drove him to seek out new brokerage opportunities with his team’s support. With the intention to push the industry to higher standards, Steve and his team are excited to see where this change will lead them and are ready to take the real estate market by storm! Congratulations Steve! Char + I are excited for you and we look forward to continued real estate opportunities in Portland + Oregon!